Here is a transcript of Joey and Howie's Twitter Chat with HeatWorld (edited for clarity). NKOTB Joey just literally ERUPTED (with yelling) into the @heatworld office. We all just woke up! PS. Howie D is also here. He's quieter. 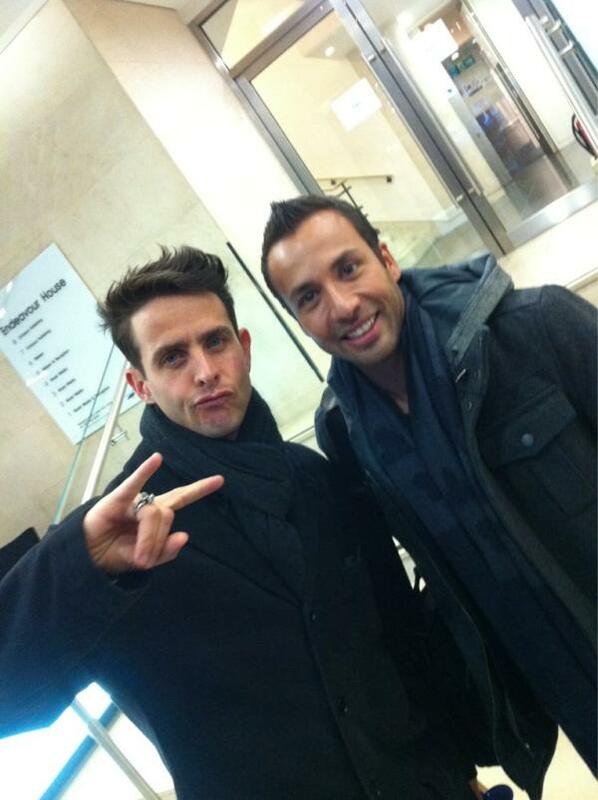 Joey McIntyre/Howie Dorough: @Broomie29 I'm sorry for being another arrogant american. forgive me. I offer you my dearest friend Howie D!!!! Has father hood changed u guys? JM/HD: @RadioPrincessD @howie_d got a balloon and some flowers today. Howie is no possibility of the tour Back to Me in south america? JM/HD: @tami_magalhaes Hope to soon. Big scoop! Both groups are talking about new music. Stay tuned! JM/HD: @DonniesAngel asked @heatworld if we're hot enough. Are you going to burn a DVD of the show in London, 28th April? JM/HD: @CrazyLittrell We are talking about it so hopefully it comes together. JM/HD: @joemacsleftboot We both would love too!! Who would you duet with a British artist if so who? Hello from Ukraine! :) Any chances that we will see u here live? JM/HD: @jksdirtydancer WHAT UP?? we heart Ukraine!! What's your favourite flavour cupcake?